Quick tip; instead of using a bunch of “if (x is y) else if (x is z) else” conditionals, you can simply get the class of any object using the “constructor” property. It’s not exposed trough strict typing though, so you have to typecast your instance to Object to access it. Chrome’s latest update to version 21 introduced a new type of flash player using the PPAPI (pepper) plugin architecture. I noticed that this version of flash started breaking mouse scroll wheel support for some flash content. The reason for preventing default mouse scroll wheel behavior is for when you don’t want the page to scroll when you scroll over the flash content. Therein lies the problem, the old NPAPI Flash Player would receive the mouse scroll event even if we prevented the default behavior. Maybe even incorrectly so, since the event was cancelled. The new PPAPI Flash Player will not receive the event if the default is prevented. If one were to remove the preventDefault() function, the Flash file would start working correctly again, but the whole page would again start scrolling, which is out of the question. You will have to not only prevent the default scroll behavior, but also call an external interface function in your flash file to let it know when the user scrolls the mouse wheel. // The new pepper plugin requires chrome to always be hacked. VerifyError: Error #1024: Stack underflow occurred. I just completed hunting down a Stack underflow error. It was a little tedious since the error is not thrown when I compiled for debug player, only release. The source of it? A trace statement in a try block. For some reason the compiler doesn’t like that at all. The solution seemed to be to remove all traces from try-catch blocks, which worked, but I wasn’t satisfied. After binary searching trough the svn commits, I found what triggered the above error, an empty for-each loop. Removing that loop made all traces work again normally inside try-catch blocks, which is what I prefer. // Empty loop, a BIG NO NO! So to prevent your swf from corrupting, do not have empty for-each loops in your project! Remove them completely or fill them with some code. I would have thought you could throw an error whenever you pleased like it, however the Flex compiler has some other ideas. 1201: A super statement cannot occur after a this, super, return, or throw statement. Finally, I’ve been working as a Senior Developer on the Angry Birds facebook game for a few months now, and its been announced! 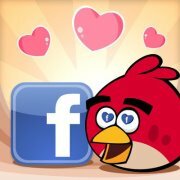 Rovio has created an official facebook event at http://www.facebook.com/events/174654275973227/. After the workload decreases I should be able to start writing again, I have some PureMVC stuff I’m dying to write about. So I have this Starling project and wanted to take a screenshot of the Stage3D currently in use. Googling around yielded no results, so after figuring out the problem I’m posting the solution here for anyone else having this problem. The solution is short: you have to call drawToBitmapData() BEFORE the Context3D.present() call. In my case with Starling I had to add the functionality in the Starling.render() function, between the call to mStage.render() and the call to mContext.present(). You are currently browsing the archives for the Flash category.